Beaver Borough public transit needs are served by the national award-winning Beaver County Transit Authority. In 2006, the Public Transportation Association named BCTA as the “Best Small Transit System in the United States”, the national association’s only two-time honoree. 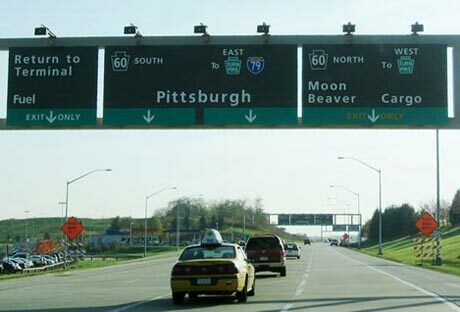 BCTA provides on demand local transit and fixed route direct connections to regional major shopping and employment centers and interconnection with Pittsburgh Area Transit (PAT). PITTSBURGH (Feb. 12, 2016) – Pittsburgh International Airport ended 2015 with total passenger traffic up 1.6 percent over 2014, and total passengers above the 8 million mark, the first time since 2012. In 2015, 8,128,187 passengers traveled through the airport compared with 7,998,970 passengers in 2014, representing a 1.6 percent increase. In the month of December, a total of 637,212 passengers traveled through the airport, a slight increase over December 2014 which had 635,627 passengers. Passenger traffic trended upward throughout 2015, which saw nine months with positive growth, as new airlines added new service, seats and additional flight frequency. Total commercial operations were up 6.2 percent for the year, largely due to new nonstop flights launched on Allegiant, Porter, OneJet, Sun Air Express and Southwest, which now serves the most nonstop routes from Pittsburgh. As of today, Pittsburgh International Airport serves 54 airports nonstop with more than 13,000 available seats on 13 carriers, including this week’s announcement by OneJet that Hartford service will begin in May. Pittsburgh International has added 15 new nonstop destinations in the past 13 months and more than 20 overall routes. The average number of weekday departures climbed from 154 in 2014 to 167 in 2015.